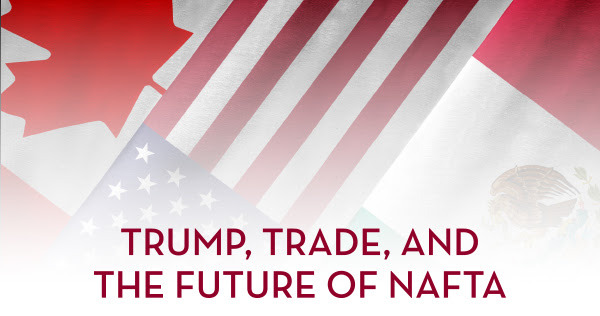 Global Notes: Register for NAFTA Panel Discussion with Lead Negotiators from Canada, Mexico, and U.S.
Register for NAFTA Panel Discussion with Lead Negotiators from Canada, Mexico, and U.S.
Join us for a panel conversation with the three original lead NAFTA negotiators from Canada, Mexico, and the United States. The discussion will center on the past, present, and future of the agreement as the U.S. considers renegotiating the deal. This event is organized and co-hosted by the Heller-Hurwicz Economics Institute and the Carlson Global Institute at the University of Minnesota. Copyright © 2017 Regents of the University of Minnesota, All rights reserved.